We’ve been working with NASA for a few years in an effort to send the RAVEN to the International Space Station. NASA approached us with the opportunity to replace manual rodent dissections by astronauts with ground-based teleoperation of a modified RAVEN system. 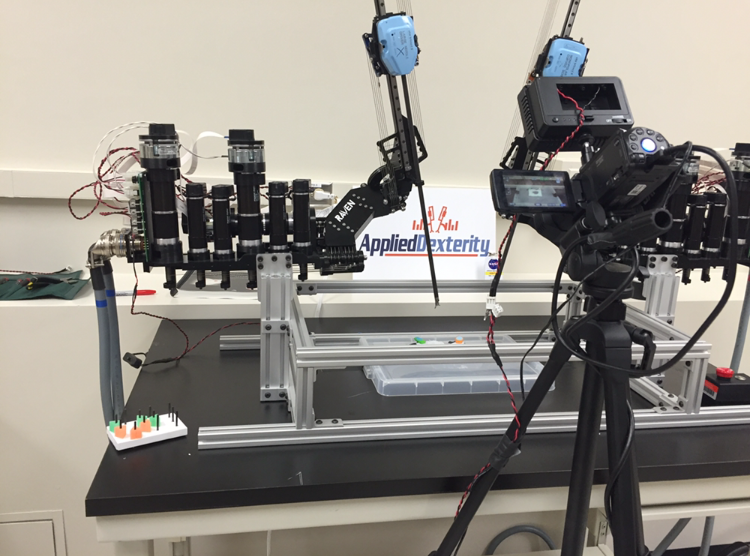 After several feasibility studies, Applied Dexterity was asked to bring a RAVEN to Johnson Space center to demonstrate ground-based operator training and performance under realistic time delay of one second. 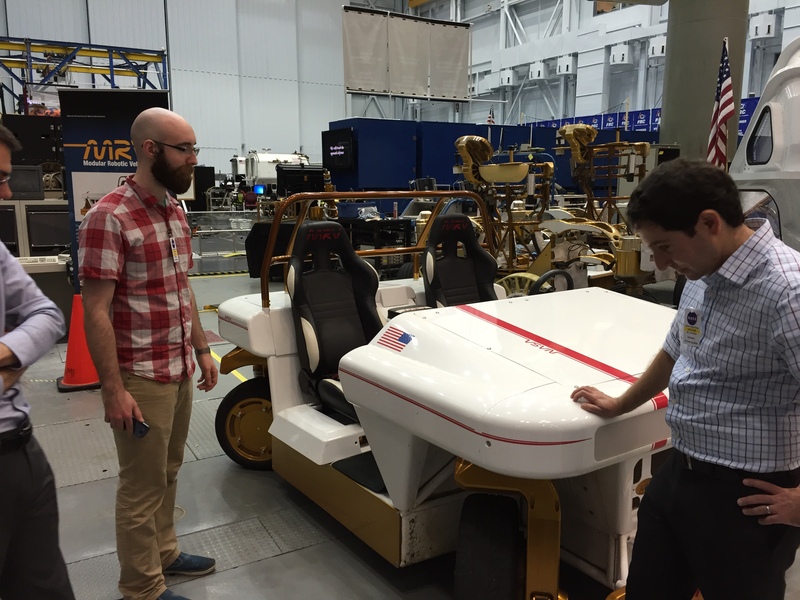 After setting up the robot, we got the chance to tour NASA’s robotics facilities and check out a lot of their new and old robots, vehicles, and assistive technologies (http://er.jsc.nasa.gov/er4/). 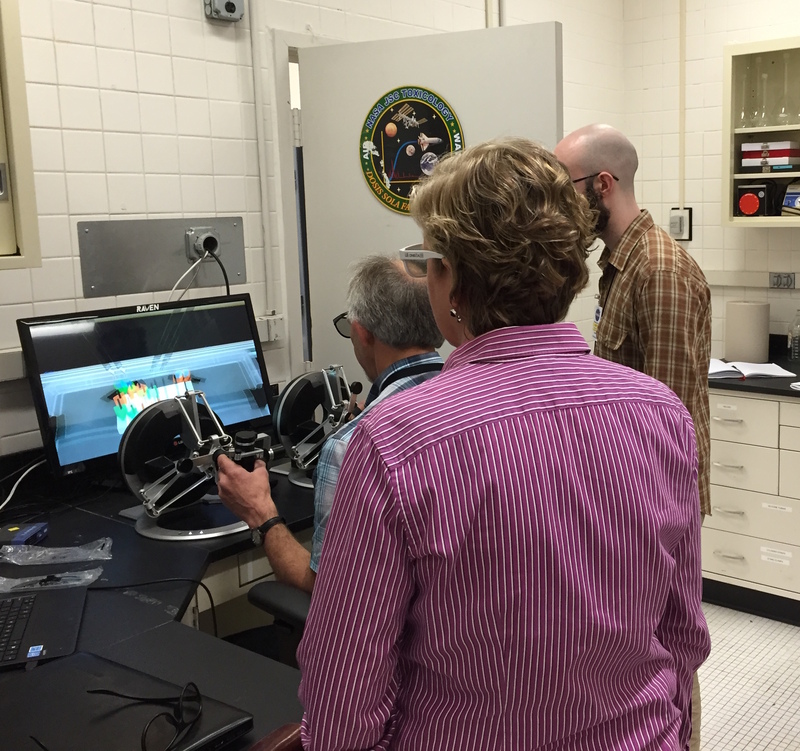 The week consisted of training NASA personnel to use the robot and culminated in a timed demo of the proposed robotic procedures with time delay in front of astronauts and other high level NASA employees. You can read more about the project in KQED’s coverage and our earlier article in IEEE Pulse. Andy and John hanging out with the collection of robots and vehicles at JSC’s robotics hanger. 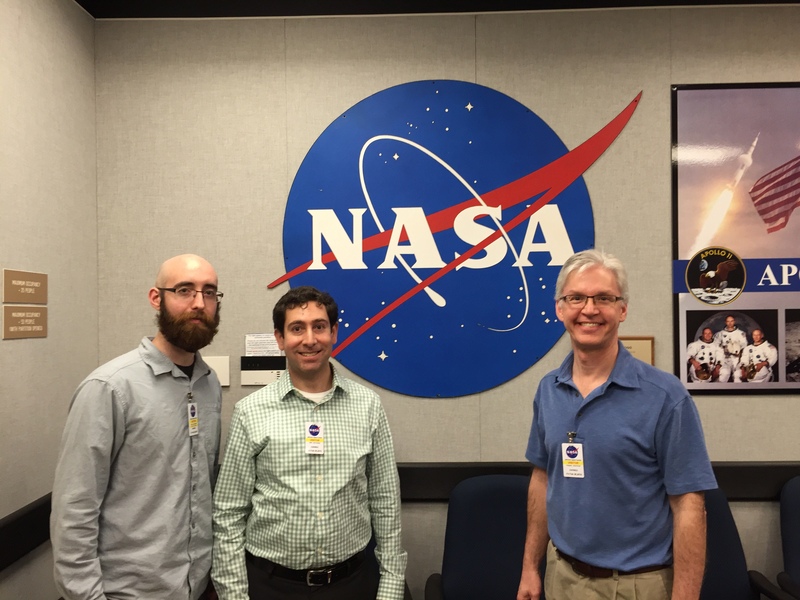 Andy, John, and Dave with the NASA “meatball” in the same room that Apollo astronauts were placed for debrief after their missions. 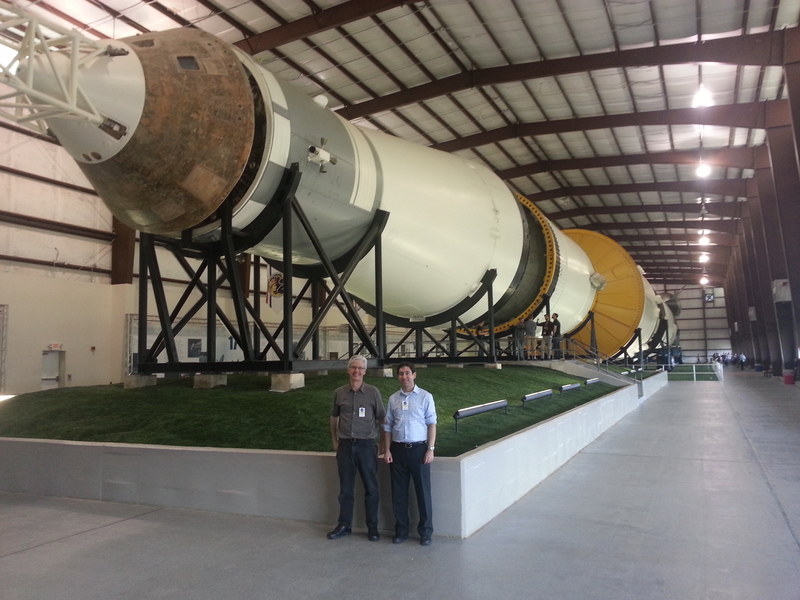 Dave and John in front of the refurbished Saturn V rocket in Rocket Park. A NASA consultant trains to use the RAVEN with standard block transfers before attempting rodent dissections. This entry was posted in In the News, News, Raven, Team by Andrew. Bookmark the permalink.